SANTA CLARITA, CALIF. (AUGUST 7, 2015) — Forrest B. Fencl, chief executive and co-founder of UV Resources, passed away on Saturday, August 1, at his home after a courageous battle with cancer. He was 72 years old. 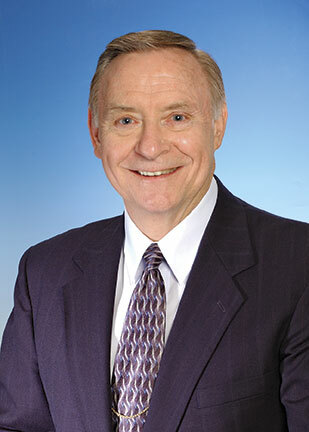 A lifelong inventor and respected industry leader, Mr. Fencl pioneered the modern application of ultraviolet germicidal irradiation (UV-C) in HVAC&R equipment, writing or co-writing 17 patents and several American Society of Heating, Refrigerating and Air-Conditioning Engineers (ASHRAE) Handbook chapters related to ultraviolet air and surface treatment. In 2010, Mr. Fencl was named a Lifetime Fellow by ASHRAE, a distinction that recognizes outstanding contributions to industry research, education or engineering. He was also the driving force behind two companies – Steril-Aire and UV Resources – that provide surface and airborne microbial control and organic materials decontamination. According to Jones, Mr. Fencl’s work around coil irradiation led to optimized UV-C effectiveness in the hostile cold and fast-moving air of HVAC&R systems. To capitalize on his UV-C technological discoveries and industry patents, Mr. Fencl founded two companies that specialize in the development and application of UV-C energy to disinfect airstreams, surfaces, and liquids related to HVAC&R equipment. He served as president and CEO of Steril-Aire from 1995 to 2002, and CEO of UV Resources from 2005 to 2015, following a distinguished 25-year R&D and engineering career at Farr Company (now the Camfil Group). Mr. Fencl was a prolific writer and enthusiastic educator through his more than 50 years serving the industry, authoring over a hundred articles and papers on UV-C that range from bio-remediation, IAQ, food and pharmaceutical issues, to bio-warfare agent protection with the U.S. Department of Homeland Security. He served ASHRAE for more than two decades, including 10 years as a Distinguished Lecturer and, later, as a voting member for its technical committee TC-2.9 (Ultraviolet Air and Surface Treatment). He also co-authored the association’s definitive 2008, 2011 and 2012 Handbook Chapters on the application of UV-C technology in HVAC&R systems. Through these efforts, Jones says that the industry began to modify its standard of care for HVAC&R equipment. Among other contributions in the air filtration community, he fathered the Two-Step Design Guide, an engineering tool for utilizing the best of ASHRAE Standard 62-1989. Before beginning his corporate career, Mr. Fencl served as an electronics technician in the United States Navy aboard the USS Wilkinson destroyer. He was a long-time resident of Huntington Beach, Calif., and was very active in his church there, Grace Lutheran Church, where he co-founded the Good News Ministry to feed the hungry. In addition to a distinguished professional career, Mr. Fencl freely shared his expertise with air quality, biological safety and infection control colleagues, as well as with members of the International Ultraviolet Association and the Illuminating Engineering Society. He also had close working relationships outside the HVAC&R industry, including the National Institute for Occupational Safety and Health (NIOSH) and NASA. In addition to his wife of 24 years, Laurie, survivors include three children: Kristena, Karolyn and Forrest “Cole”; three grandchildren: Victoria, Katherine and Isabella; and an expected great-grandchild.